It’s not exactly breaking news that advertising and marketing is everywhere. 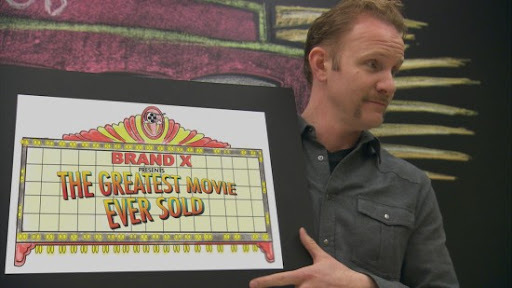 So Morgan Spurlock’s latest film, The Greatest Movie Ever Sold doesn’t exactly shock. Nor does it present new revelations. 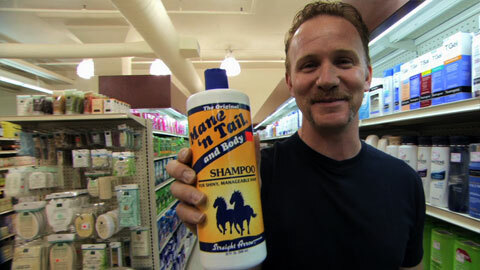 Like his previous film Super-Size Me, Spurlock handles his topic with humor and self-awareness. Did I tell you the film’s title yet? Sorry, I missed the most important part. It’s actually called POM Wonderful Presents: The Greatest Movie Ever Sold. 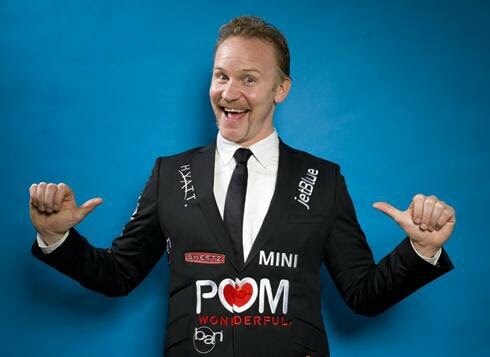 The “plot” of the movie is that Spurlock wants to illustrate the absurdity of the current commercial climate by having his movie funded entirely by sponsors — who eventually include such brands as Hyatt, JetBlue, Old Navy, Merrell, and Sheetz (POM bought the rights to be an above-the-title sponsor). Will doing so, and including their products in the film in various obvious and not so obvious ways, make him a sell-out, or will he be able to subvert the concept enough to maintain his integrity? Interviews with Ralph Nader and other consumer experts are peppered throughout as counsel to Spurlock and commentary to the audience. Spurlock also travels to Sao Paulo, Brazil, where outdoor advertising was recently banned, Coral Springs, Fla., where advertisements are hung on high school ball fields and in school buses, to make his point. But what is that point? Other than the laughs and the digs at Spurlock’s sponsors (and those who spurned him), there’s not much to be gained by seeing Greatest Movie. That brands are hungry to put their name and logo wherever it’ll get eyeballs isn’t exactly revelatory. And it’s not exactly ironic that in satirizing how blurry the lines are between content and marketing, Spurlock becomes a marketer himself. After all, money talks. When he plasters his image around Coral Springs High School because the school is short on funds, it’s both amusing and sad. What are we, the viewers, to take away from all this? Resignation, at best. Advertising isn’t going away any time soon. As Nader says, the only way to escape it is to sleep. The tragedy for me is that lost in the film’s larger message is the insightful answer a shop owner in Sao Paulo gives Spurlock when asked how he’s marketing his store differently now that he can’t put up advertisements. He says he relies on a great product and word of mouth, and that it’s working. That’s because those concepts and a notable customer experience are what cut through all the advertising and marketing noise these days. So on that note, I’m going to tell you to disregard all the TV commercials you may see for this film and listen to me. I give Greatest Movie a B; it’s entertaining, but not as insightful as it could have been.